This analysis of Sayori is just my opinion, as it is how I see this character. I’ve also included minor details as, while it may seem insignificant, it helps flesh the character out a bit more. A Game of Love and Literature: Doki Doki Literature Club! For those unfamiliar with this game, I’ll briefly sum it up. Doki Doki Literature Club! (aka DDLC) is a free visual novel which follows the protagonist (who you name and play as) who joins a literature club. From there it’s the various interactions and activities that happen between its members. The focus of the game is to bond with one of the characters through dialogue choices and other decisions that you make. Don’t judge this book by its cover though as the game carries a warning that it isn’t suitable for those who are easily disturbed. You won’t find any content that could be considered disturbing on this post though, it’s just about the character. There are several mods and fanfiction for Doki Doki Literature Club! but I haven’t taken those into account here. Only the main game will be considered. I’ve kept my focus on the key points of Sayori and have left any major plot points out. Even so, some of the points raised are still story related so if you are planning to play or watch this game then I recommend you do that first. Character introduction: Sayori is the childhood friend of the protagonist and vice president of the Literature Club. She is cheery, optimistic, energetic, and a klutz. There’s something different about her compared to other typical klutzes though and that is she has heart and quality character depth. Too many klutzes are played for laughs and have nothing else to offer except easy and cheap slapstick humour. Sayori is strongly written and a fair few people find that she closely resembles a person that they know or even themselves. Taking nothing away from the other characters in this game though, as they have their own unique depths too. There is another layer underneath Sayori’s happy-go-lucky persona which does explain her personality, but I’ll go into detail later on. + At one point she accidentally breaks her pencil and when she goes to pick up the pieces she bumps into the protagonist. She was a bit flustered at the time, which is why the accident alone doesn’t exactly support her being dyspraxic. It’s the next one that offers something more convincing. + On a separate occasion, she drops a crayon from its box, goes to pick it up and whacks her head on the shelf (and drops the box of crayons). After the protagonist gets something cold for her to hold against the bump she remarks how she misses the times they grew up together – which confirms to me that Sayori does get into more than her fair share of accidents and mishaps. Enough to hold a nostalgic value over it. 1) Constantly late – She starts the game being late meeting the protagonist; which has happened a lot lately. 2) Messy bedroom – Her bedroom is only tidy when the protagonist helps her with it. 3) Terrible at cooking – We aren’t told anything specific and there’s also something about nearly starting a fire. 4) Messy eater (Potentially) – Happens once in the game. No one brings any attention to it; which may suggest that the other characters are just used to it. 5) Money Management (Possibly) – it is addressed in-game that she struggles with managing money. The fact that she is 18 it can be chalked up to lack of experience. Although all characters are 18 and she struggles more than them with it. Money management issue is something that’s linked with dyspraxia so it is worth noting. + Shirt: Top few buttons undone with a crooked collar. It is suggested she dresses like this because she rushes in the morning and the fact she takes care of others more than herself. I personally don’t see it much of a stretch to think she struggles getting dressed. After all, if she was running late she could sort her uniform on the way to school or when she arrives. Other than that she might have discomfort with buttons done up fully and decides not to do them – known as ‘Tactile Defensiveness.’ She did restore her clothes back to the way they were after the protagonist helped her, so that could suggest more to the latter. While it isn’t shown it is brought to our attention by the protagonist on her appearance one day. Specifically, that she has disheveled hair, a displaced bow, and toothpaste on her crooked collar – a potential dyspraxic morning perhaps? In the game, she forgot to write a poem and ended up doing it on the morning of the day it was due. The protagonist calls her out on it straight away after reading it. Says to me that she forgets things like homework regularly. Sayori gets distracted easily and finds it hard to concentrate at times. Once in the game Sayori catches the protagonist spacing out and mentions how “he’s even worse than her sometimes.” Looks like she is one to space out a fair bit. Through dialogue, it is revealed by the protagonist that she gets obsessed over things but only for a short period of time before dropping it. Sayori had an issue with a word, getting it mixed up with another similar sounding…twice. No other speech problems are made clear in the game though. Sayori doesn’t have a lot of tact, but she has a lot of heart. So, when heated moments and arguments happen she’ll do her best to resolve it. When defusing these moments, her way of dealing with it is rather awkward. She also has a few other little awkward tendencies and moments too, but then all the characters have their moments too. Another minor detail that I think is worth bringing up is that early in the game she was waving her hands about whilst running. Exaggerated movement is a dyspraxic trait, but whether we can count it here is debatable. It’s like with the money issue, the speech issue, and the awkward moments I touched on earlier, on their own they aren’t exactly compelling but when added together it forms a bigger picture. A final piece to add is something I eluded from in her intro; her mental health. On the outside, she is a ‘bundle of sunshine’ she lives for others and has a passion to make everyone else happy. Quite tragic for her because on the inside she suffers from depression. (She ends up admitting to the depression in-game, which was later confirmed by another character.) Depression isn’t exclusive to dyspraxia, but there is a link as those who have dyspraxia are more susceptible to depression and other mental health issues. When all the pieces are added together it is possible that she has dyspraxia alongside her depression. Sayori is a complex character with real relatable issues and emotions ~ namely the depression. Her depression does account for a good portion of her character for sure, but dyspraxia does tie things together for her quite nicely. At the same time, my theory on her being dyspraxic takes nothing away from her depression. The issue is we don’t get an insight into what Sayori is like without her depression, which is why my thoughts are that she ‘could be’ rather than ‘I’m confident she is.’ While I was playing through the game I found myself relating to Sayori both from a depression and a dyspraxia viewpoint. Ultimately, this is what convinced me that she is a strong contender for being a dyspraxic character and cemented her place in my Potential Dyspraxic Character Page. There are a few fan theories surrounding DDLC, some are pretty convincing and there are others that have not been received favourably. My wish is that my contribution to the Doki Doki melting pot has been a fair one to the game and its characters, the studio behind it, and the fan base. Likewise, a fair one to the world of dyspraxia, giving it more relevance and finding a character who we can connect to in a unique way. I’m not sure how the creator, Dan Salvato, would feel about my interpretations of his characters though – if he ever sees this of course. My aim is to give these franchises and their characters the highest amount of respect possible. They are created for our enjoyment and entertainment, after all, so taking it apart can be seen as disrespectful. At the end of the day, this game and all the characters within, including the ones I haven’t discussed, are nothing short of a masterpiece. It really doesn’t matter if Sayori has dyspraxia or not and likewise with Yuri and autism (more on that later). These theories are there to just look at these characters in a slightly different light. What are your thoughts? Feel free to leave a comment on your feelings below. If you have any ideas for other characters then please let me know; I’m really interested in finding out more characters to expand the list. Post 116.5 (Bonus Post!) ~ Does Yuri have Autism? But wait a minute don’t go anywhere yet, there’s more! If you have reached this far then I’m assuming you’re either a big fan of the game or found my writing somewhat captivating. Either way, I like to add my thoughts on Yuri being autistic. It is something I considered whilst playing the game and it is a topic that has been discussed to some extent already. People are divided on the matter though and it is understandable why. Character Introduction: Yuri is one complex character and a difficult one to sum up. As a side note, this is what makes the characters of Doki Doki so brilliant and why speculations like this one, and Sayori having dyspraxia, can exist. The characters personalities are unique, rich, and deep but also mysterious allowing us to build up ideas and theories. Yuri is shy, introverted, awkward, and very intelligent but because of her deep insecurities and self-doubt, she has built up a shield of coping mechanisms. She has trouble making friends but she has a deep desire to be liked by others. When it comes to Yuri’s passions she can come on too strongly and this, in turn, scares people off. It’s not surprising that people think Yuri could be autistic. Yuri has difficulty in understanding other people’s points of view and can be very opinionated at times. Whether this happens naturally or is deliberate is up for debate. When it comes to her poetry it is very symbolic and metaphorical. So when she reads a poem that is more obvious in its approach that uses simpler words she doesn’t understand why the writer chooses to write that way. This attitude is part of her coping mechanism and helps boost her self-confidence. She is quick to apologise when this causes offence, but then again she is quick to apologise all the time. At one point in the game, it is suggested that the club try to get more members by performing poetry; which Yuri doesn’t like the idea of. This is due to how painfully shy she is at having attention at her. It wouldn’t be too much of an exaggeration to assume the thought of extra people joining the club gives her anxiety too. She’s probably more comfortable with the club staying the way it is and not changing, however, this isn’t exactly stated. Yuri’s personal interests are interesting and very specific, to say the least. The main ones are books and reading; they are her passion. Another point is, despite her innocent persona, she has a dark side to her; one of which is a passion for horror novels ~ something all characters are surprised at. Her passions run deep and while I could go into more detail about them, I think you get the point. Yuri is so painfully shy that she doesn’t do that much interacting. Most of the things under this topic are physical things (like standing too close, etc.) and because it’s a visual novel we don’t get much feedback for this. Most of the issues Yuri has is the shyness. When Yuri gets onto a topic she likes (such as books) the anxiety and shyness melt away and she’ll talk with absolute confidence, even if there’s no feedback from the person she is talking to. The protagonist compared himself to a rock whilst Yuri was talking to him about books, because he was at a total loss. Yuri suffers from anxiety and other mental health issues. She also has a desire to have friends but struggles to initiate and maintain them. It is really, really difficult for me to draw up a conclusion for Yuri on if she has autism or not. She certainly has elements from all parts of the Triad of Impairment, but I’m not sure if she actually demonstrates enough traits from each category to really qualify. I can confidently say that I agree with both those who think Yuri is autistic and those who are against it. Sitting on the fence is a cop-out and I apologise for it but I simply cannot decide. Yuri shows certain elements of having Autism for sure so that’s probably enough for me to side slightly with her qualifying as an ‘Autistic Character.’ Maybe you have a more compelling argument for or against? I realise this post was super specific and isn’t going to be everyone’s cup of tea. Many thanks for reading; whether you’re from the dyspraxia background, the DDLC side of the internet or both! 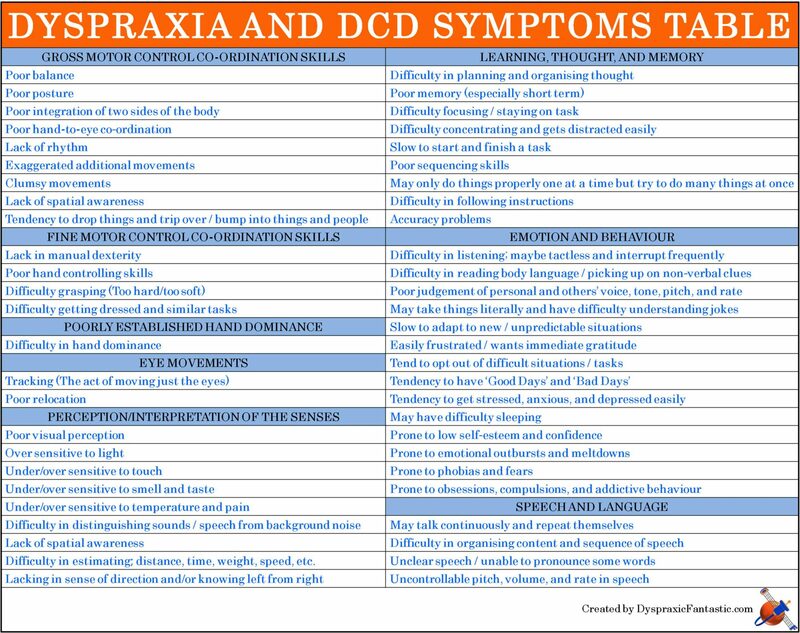 With my posts, I like to venture into different and unusual topics as the majority of my dyspraxia thoughts are already documented on my pages. There is an upcoming post which is more dyspraxia focused and less obscure so stay tuned for that! Until the next time, wishing you all the best.